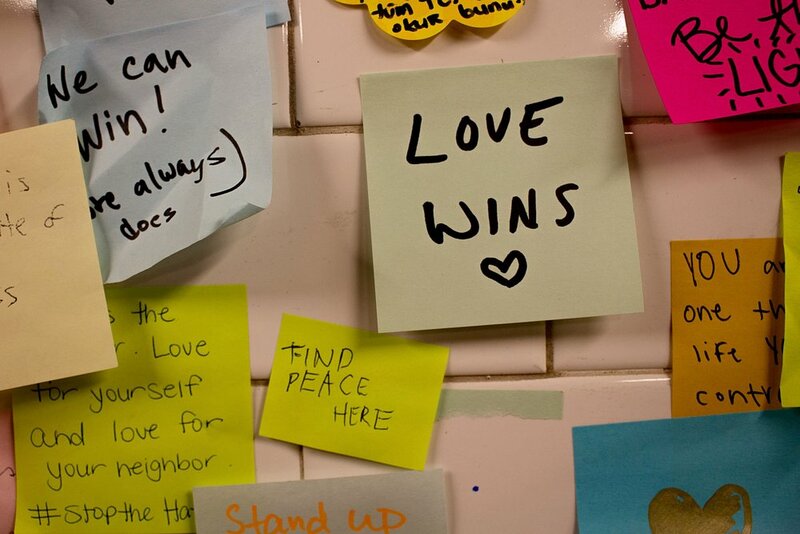 The New-York Historical Society, Metropolitan Transportation Authority, and Governor's Office have partnered to preserve the Subway Therapy sticky notes at the Union Square wall for the future. The New-York Historical Society will preserve a portion of the sticky notes as part of its "History Responds" program. Beginning Tuesday, December 20, 2016 through Inauguration Day on January 20, 2017, members of the public can continue to participate by placing sticky notes on the glass wall at the New-York Historical Society's front entrance on Central Park West at 77th Street. If you contributed to this amazing project, thank you very much for helping make it an international symbol of unity and peaceful expression. Stay tuned for additional details!